RiverGlide are change agents, helping you to achieve more, faster, easier through agile coaching for teams and leadership. Our guidance on scaling lean and agile, our hands-on technical mentoring and ability to guide leadership in transformation and innovation culture is optimised for you. We help you to continue to deliver today and evolve continuously to achieve more tomorrow. RiverGlide people are some of the most experienced you can find. Our people have been in agile transformation for as long as Agile itself, helping organisations of all sizes innovate in how they work. We help you make a big impact with small changes. We understand that there's no "one size fits all" solution and work within your context to identify small experiments with big systemic positive effect. True agility is your ability to change direction quickly, with ease; to discover and deliver what your organisation and customers need, faster. We won’t sell "Agile in a Box" with a rigid set of practices & models that hinder process agility. Our approach is holistically tailored to you, to help you achieve more, faster, easier with people, product and process agility. Are your people in fixed, functional roles or can they adapt to take on the role most valuable to their team at that time? We coach your team-members and leadership to encourage people to exceed the boundaries of a fixed, functional job-role. This allows each team to move forward together, so your people achieve more, faster, easier. Does it take weeks to add new capabilities to your product or can you have an idea in the morning and see it in production in the afternoon? We get hands on with your code and continuous delivery pipeline. We improve the internal quality of your product, mentoring your team as we go. New capabilities are added faster, easier. Do your teams have mandated process, needing approval to change it, or can they choose what works one moment to the next? We help you evolve an adaptive process that meets your needs. We take your context into account, in a way that off-the-shelf Scrum and SAFe cannot. Process should work for you, not vice versa. Our mission at RiverGlide is to enable and boost the awesomeness of what you do, the ways you do it, the people you do it for and, as a result, the products you create. Innovation and Personal Growth We get a buzz from learning new things, trying whacky ideas and cultivating outside-the-box thinking. Joy and Creativity – We are inspired by fun and creativity, whether it’s in what we do or what we help you do. 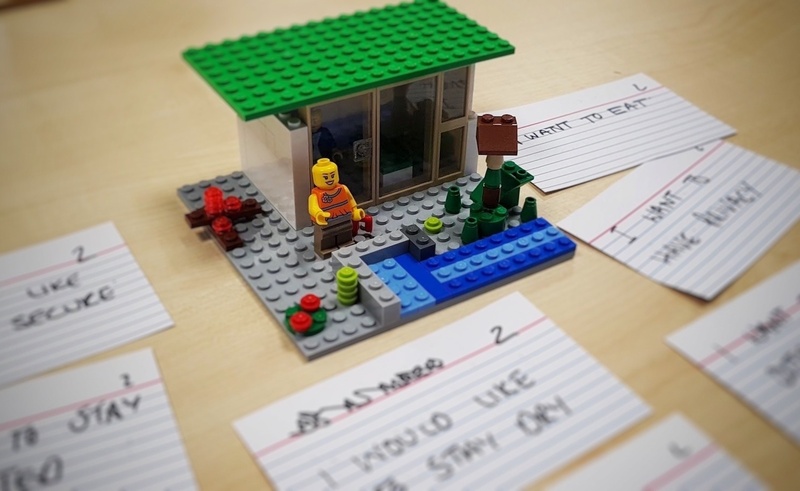 This two day experiential course explores the practice of User Stories with Lego. Then, develop a dynamic paper-based social-network to learn how User Stories tie in with Behaviour Driven Development (BDD), a practice that formalises the practices of the best TDD practitioners. It helps us see how to evolve our product both incrementally and iteratively, as we evolve our understanding of what our users need.